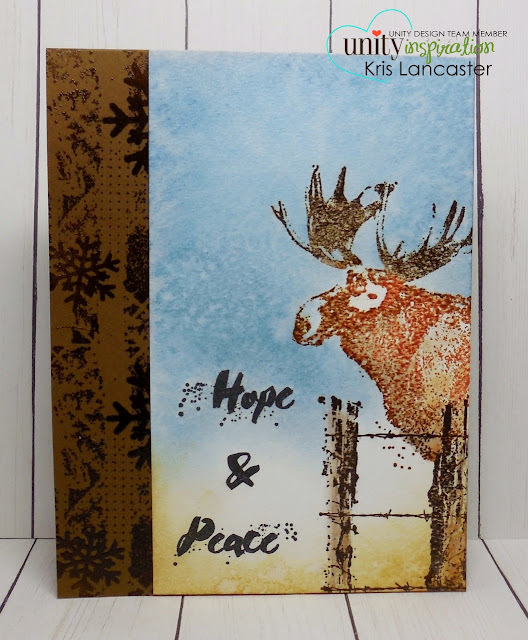 Kris here to share a few cards I've made recently and also to share some beautiful creations from the Facebook Show & Tell Group. I know that there is a whole day on the blog dedicated to the SMAK kit, but since Tuesday is kind of an anything-goes-day I decided to share some of my SMAK cards with you. 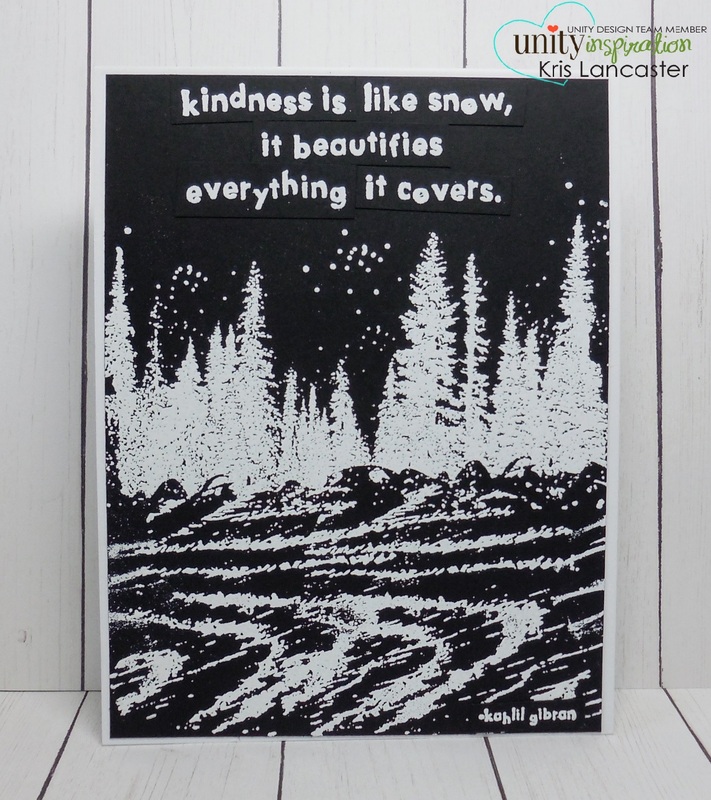 I sincerely LOVE this month's kit...Winter Wild. This card was so easy! I stamped the images with VersaMark ink and embossed with white embossing powder. I cut the sentiment up and adhered the pieces to the card. The moose is probably my favorite image in the whole kit. He, part of the fence, and the sentiment are stamped with distress inks on a panel of watercolor paper (some embossed with clear embossing powder). Just a bit of ink-smooshing and water-spritzing for the background. For this card, I stamped the wreath with Antique Linen distress ink and the sentiment in black (lots of contrast). I added some Nuvo drops and sequins...REALLY easy! Now for my favorite part of posting on Tuesday. Here are some fabulous creations posted in the Show & Tell Group recently. You can see these cards and so many more in our public group. Head over and ask to join! This group of lovely cards is from Carolyn Hollingshead and perfectly showcases the October KOTM. This little cutie from Shannon Edwards certainly made me smile. Finally (gosh it's so hard to choose just a few), this beauty from Lin Metcalf just screams FALL to me. That's it for today. Have a delightful week.